Samsung Electronics just introduced the Samsung GALAXY S DUOS, the latest addition to the GALAXY smartphone family designed for active young professionals. 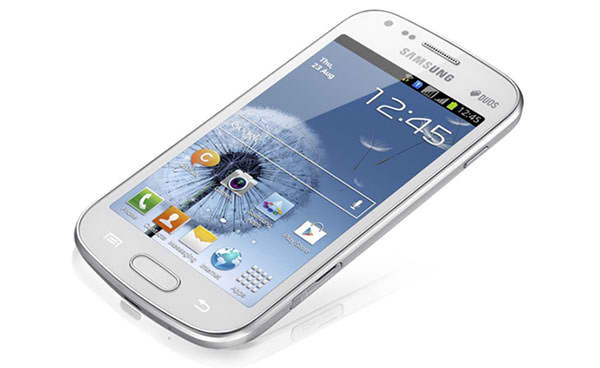 Samsung’s new Android 4.0-powered smartphone is ideal for users who balance fast-paced work and social lifestyles. 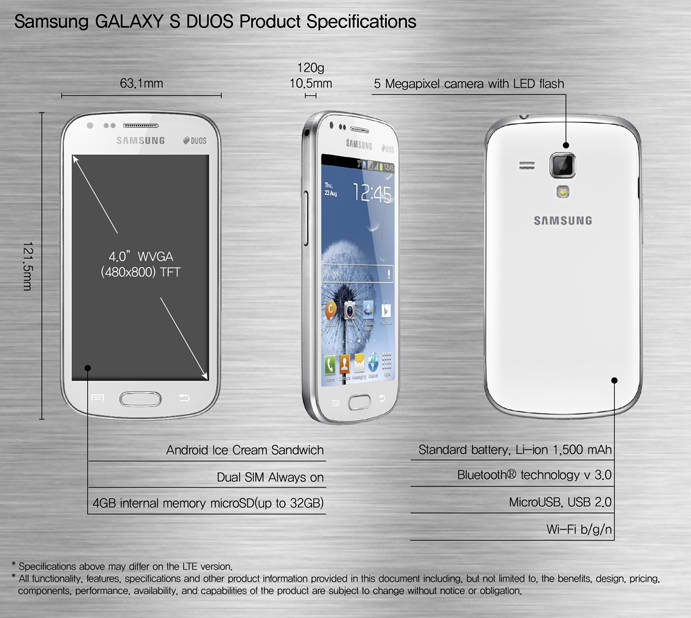 The Galaxy S Duos offers all the style and high-end performance users expect from GALAXY smartphones. It also affords the convenience of Dual SIM access, giving the smartphone added communication flexibility. More about the Galaxy S Duos after the jump. The Samsung Galaxy S Duos combines high-end performance with total communication flexibility owing to its Dual SIM functionality, which allows users to manage two phone numbers from a single phone. Its unique ‘Dual SIM Always on’ feature allows you to receive calls on one SIM number while taking a call from the other, ensuring that you can manage both personal and work commitments without ever missing a call. You also have the flexibility of selecting different billing plans for either SIM, switching between them at your convenience. The Galaxy S Duos doesn’t compromise on style or performance. Its rounded edges and smooth ceramic-like finish give it a classy, sophisticated appearance. Its 1GHz processor and 1500mAh battery allow for breezy multi-tasking across the most demanding applications, while the 4GB of on-board storage provides ample space for your favourite images and videos. Its capabilities are boosted by the exciting new features of Android 4.0, which include stunning graphics and upgraded menu systems for easier browsing and navigation. The Galaxy S Duos’s social and entertainment options are equally impressive. Its generous 4-inch display offers a comfortable viewing experience whether browsing online, reading emails or flicking through photos, and is perfect for watching video or enjoying images taken with the phone’s 5MP camera. The preloaded Samsung’s ChatON communication service, which connects all phone users into a single community, provides easy instant messaging, group chatting and content sharing in multiple formats to make mobile messaging incredibly simple and intuitive. Availability: Now available in the Philippines!